as one contiguous work of art. 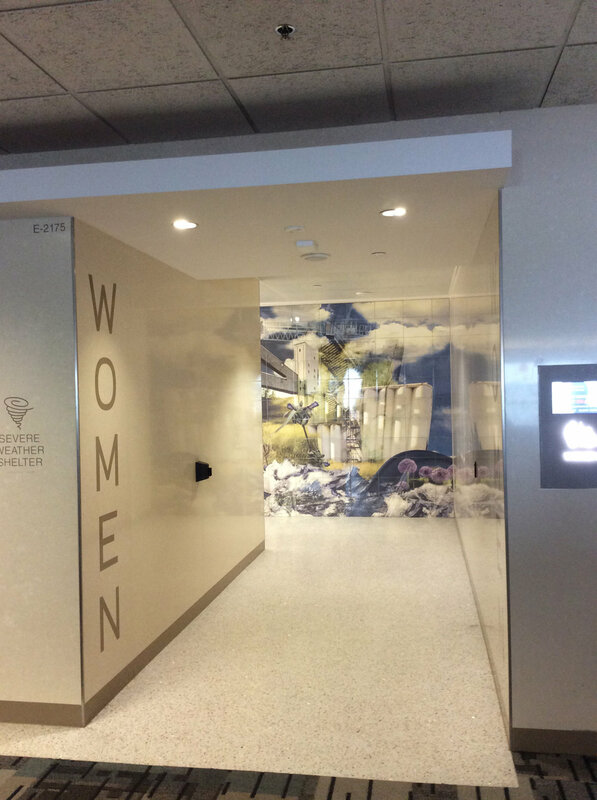 As the visitor departs from their plane and walks down Concourse E toward baggage claim the edges of nascent (Mens ) are completed as you view blueprint (Womens 1) and when you pass inviting wonder (Womens 2) the imagery is made whole. 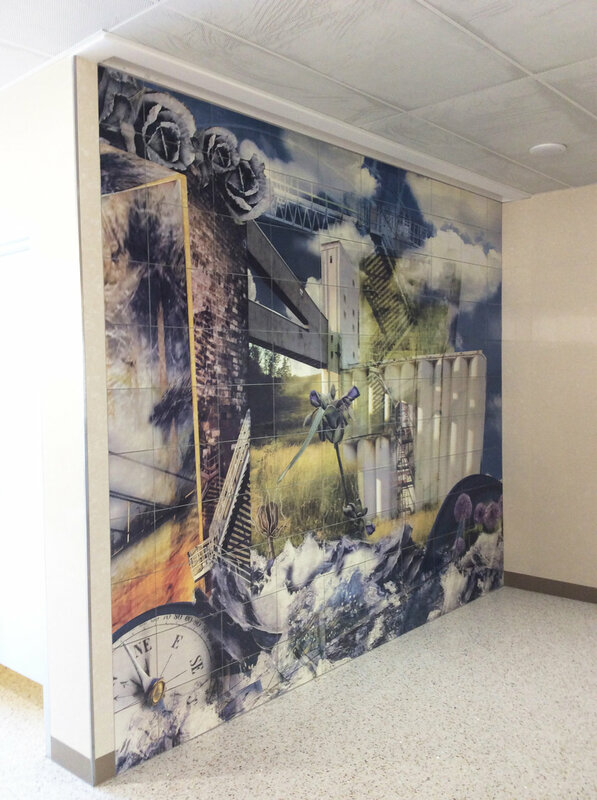 We wanted something “discoverable” and similar to a “journey” in the artwork we created for the MSP airport. Minneapolis is so rich in combining old buildings with new ideas. We wanted the work to have a really authentic feel of this place we love. The colors are vintage industrial and for us personally resonate with the understanding that the past does not have to be replaced. 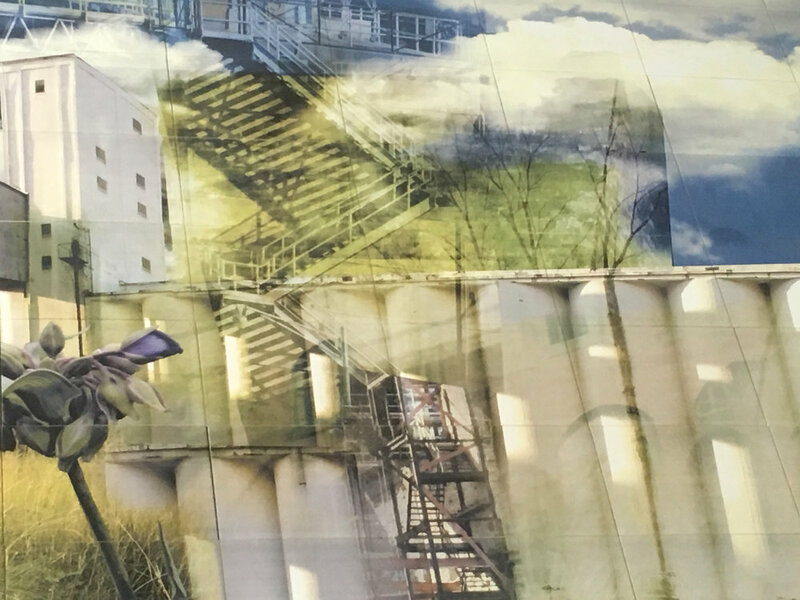 The images in the three walls are all from street shots taken in the NorthLoop and NE neighborhoods of Minneapolis. This area is our neighborhood and it is in a transitional place right now. What it once was is changing and in the midst of much building, it is still becoming. An airport can be such a place. This work invites an appreciation of everyone’s subtle, often ordinary but none-the-less continuous journey. There is one image that deviates - a huge iceberg on Lake Superior photographed just north of Duluth. We just could not leave it out. We wanted people from other cities, other countries, to feel immersed in this incredible chunk of gorgeous cold. We are innovators printing ceramic pigments permanently fused to ceramic tile. Our medium and approach offers an imagined sense of place as image, color and light are assembled together creating sentient contemporary experiences.